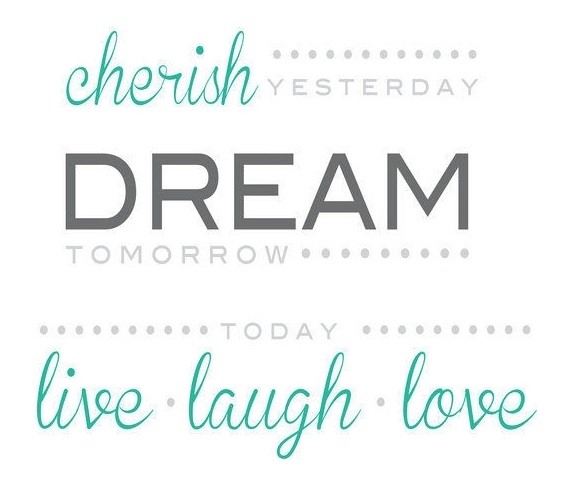 Two Panels of: 9.75"x 17.25"
Dimensions: Two Panels of: 9.75"x 17.25"
This Cherish Dream Live Quote Wall Art - Peel N Stick is a great inspirational supply for college! Let this dorm supply be the focus of your college decor. When you're decorating your dorm, you'll want to include unique supplies for college as part of your dorm stuff. When you're dorm shopping, always look out for stuff for college that can make your dorm room stand out. Inspirational college wall decor will help do just that! So decorate your dorm and also bring some positive vibes to your living space. When shopping for college, especially dorm wall decorations, you'll also want to keep in mind that the stuff you choose can't damage your dorm walls! While the adhesive on these peel-and-stick dorm items is strong, they won't be overly difficult to remove or leave any markings on your wall. So rest easy when you're decorating your dorm. If you want to include a different look than college posters, you'll need some wall art for college. Be inspired while you're decorating your dorm!